A stunning outdoor dining area has been set up in the moated grounds of this magnificent Jacobean Grade 1 listed former stately to overlook the Japanese pagoda. 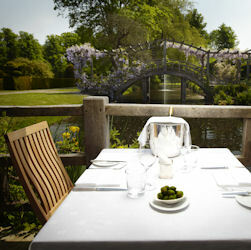 Romantic location with excellent food. 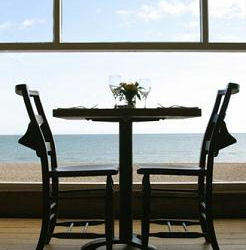 Soak up the coastal atmosphere at Alex Aitken’s chic and contemporary diner on the waters edge of Mudeford Quay. Sleek yet unfussy you can enjoy delicious and freshly landed seafood dishes. Accolades placing this restaurant in the top ten coastal diners by many of the national newspapers should give you the impetus to visit. 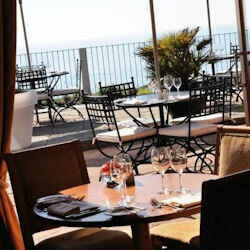 It offers a large cliff top patio with far stretching sea views and Mediterranean menu with emphasis on seafood. 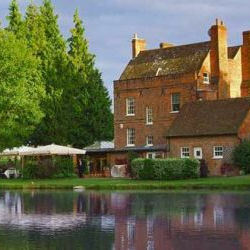 French for house on the lake, this is the Michelin star diner of Brocket Hall. 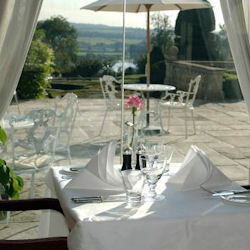 Outside dining is exquisite by the waters edge and views to the golf course and the beautiful main house. 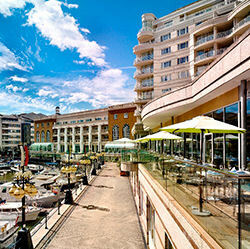 Limited seating but arguably some of the best views for central London for its enviable location in Chelsea Harbour. Dine and relax against the chinking boats moored in the glistening and ultra glamorous harbour destination. A perfect expansive outside terrace in a beautiful floral Victorian walled garden this is one of those rare finds. 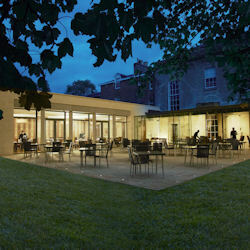 A beautiful contemporary restaurant overlooking the grounds of the 200 year old Borde Hill Gardens Estate. 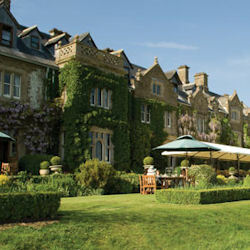 The sun soaked terrace is a sublime treat which has commanding views over the South Downs and onto the gorgeous Rhododendrons in the grounds of one of West Sussex’s finest hotels. 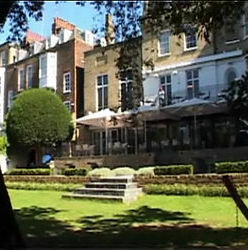 The Terrace at the charming 17th Century Lainston House Hotel is fabulous during the warm spring and summer seasons. Aptly named for its views of looking down a spectacular avenue of Lime trees. Set in the arches of Brighton’s promenade, Due South is literally a stone’s throw from the famous pebble beach and utterly stunning seaside views on both good and bad days. 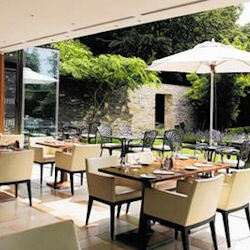 One of the country’s most sophisticated hotels offers terrace dining from its Vetiver restaurant. Quintessentially picturesque with views over the crocket lawn and utterly delicious English cuisine with cosmopolitan flair. One of the most impressive settings to dine is offered at The Terrace of the Orangery with uninterrupted landscaped views over manicured grounds down to the winding River Thames and to the Chilterns and beyond. Seaside chic at its best. 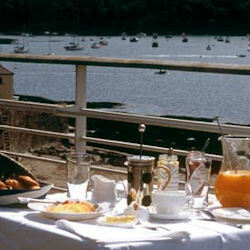 Hotel Tresanton is perched on the hillside overlooking Cornwall’s stunning Roseland Peninsula. 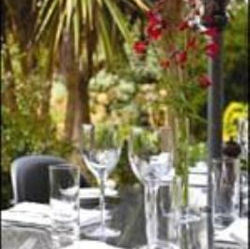 The restaurant is on the two tiered roof terrace of this former yachting club and décor is nautical, bright and fresh. 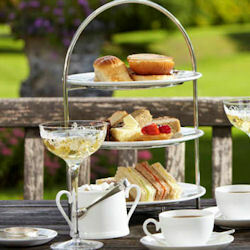 A Gorgeous terrace overlooking 6 acres of beautiful gardens boasting Europe’s largest tulip trees. A great place to while away the hours in the shade of a stunning Georgian building. The delightful covered balcony overlooking the gardens and River Thames by Richmond Bridge makes for a perfect setting on a warm summers evening. The service is attentive and knowledgeable making for a lovely dining experience. 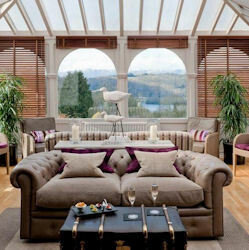 With a sublime hilltop setting overlooking Lake Windermere and the surrounding Lakeland Fells, The Terrace at Linthwaite House Hotel provides a breathtaking backdrop to enjoy the delicious modern British cuisine. 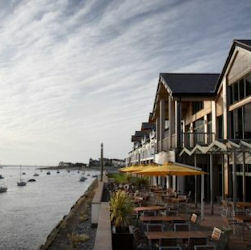 Take a seat on the veranda at the water’s edge and enjoy the magnificent outlook and spectacular panorama of the Conway River and Estuary – A great setting for eating out in North Wales. 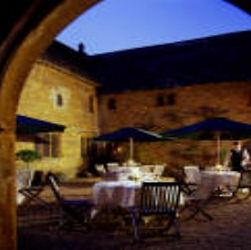 Set within the walled garden at the stunning Lucknam Park Hotel and adjoining the award-winning spa, The Brasserie terrace offers the most peaceful and tranquil place to enjoy al fresco dining. Secluded & private the environment feels a million miles from anywhere. A contemporary terrace setting in the shadows of the main Ivy Clad house, Mulberry Terrace offers a tranquil environment to enjoy a delicious pimms and lunch in the Sun or a glass of chilled Champagne with dinner in the evening followed by a stroll around the beautiful 27 acres of Wiltshire countryside. 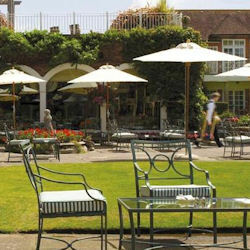 The rose clad court yard provides and attractive and informal setting for al fresco dining during the summer months. 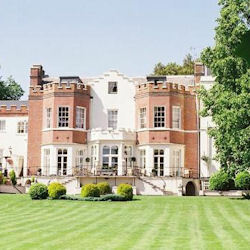 The service is attentive and discreet and the history of the building provides an exceptional backdrop to the occasion. 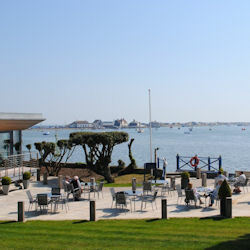 In Sandbanks millionaires playground is the contemporary Café Shore restaurant and terrace on the waters edge. 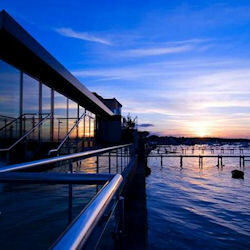 It has by far one of the best and most breathtaking views of Poole and its Blue Flag beaches and Harbour.